Published on May 7, 2010 in Complaints, General T&T, Law and Media. 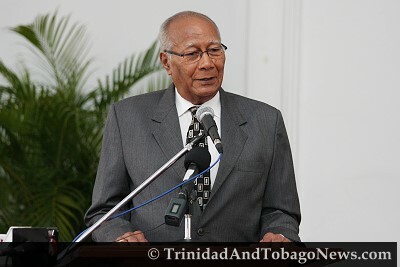 Closed Tags: George Maxwell Richards, Indo-Trinbago Equality Council, President. In the judgment handed down on Tuesday 4th May, 2010, High Court Judge, Mr. Justice Ronnie Boodoosingh said inter alia “while I am also mindful that delay in conducting investigations can lead to prejudice to the proper determination of a complaint, I do not think that there is sufficient evidence before me to come to the conclusion that the appointed Integrity Commission on account of the delay in this case will be unable to deal properly with the issues, make a proper judgment or give the benefit sought by Mr. Maharaj… Looking at the complaints, I think that a fair investigation is still very possible. I also think proper conclusions and action can follow. I do not find therefore that there has been a breach of protection of the law clause in this case, even though I find there has been unreasonable delay in the appointment of the Integrity Commission. The declarations sought are accordingly refused and the claim dismissed.”(Emphasis added). It should be of interest to note that the word “guilty” does not appear anywhere in the judgment.